PayPal is an American company established in the year 1998. It is operating a worldwide online payments system that supports online money transfers and serves as an electronic alternative to traditional paper methods like cheques and money orders. PayPal is one of the world’s largest Internet payment companies. With the integration of PayPal payment gateway into your e-commerce platform, you can receive payments from PayPal accounts, as well as any credit or debit card. However, it is not necessary for your buyers to have a PayPal account only. You can integrate this payment method into your online store because it provides lots of benefits to the merchants and the customer. Transfer money from your PayPal account to another user’s PayPal account. Transfer money from the PayPal account to the savings account. Shop online by making payments online. Allows the user to set up a merchant account. It is safe and secure and it is free. 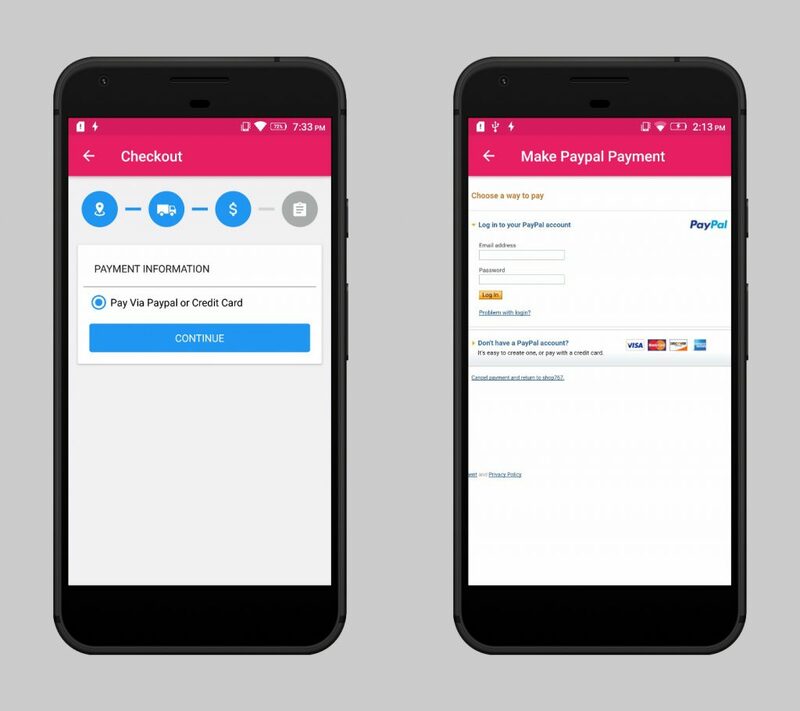 Mobikul Supports PayPal. It can be easily integrated with your Mobikul mobile app of your store. Please refer to the Play Store link of the live application integrated with PayPal. Mobikul Supports PayPal and many other payment gateways which you require. You can check for all supported payment gateways supported by Mobikul by clicking here.